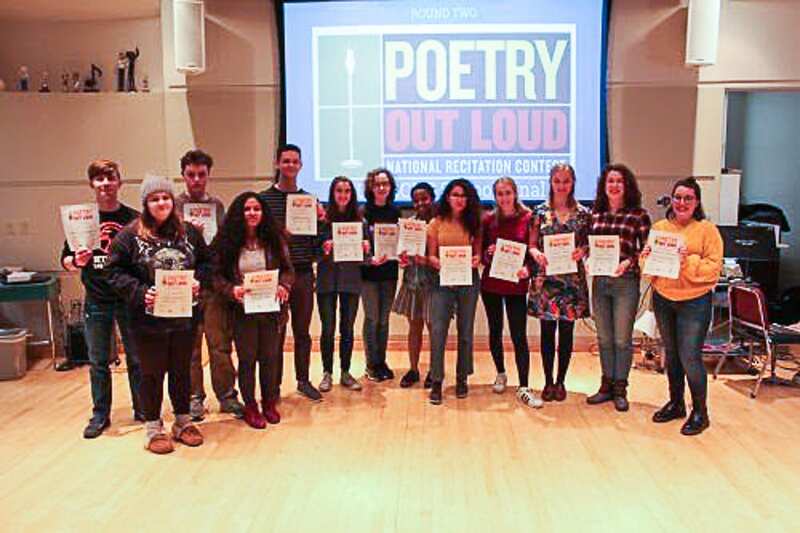 BETHLEHEM — Two Bethlehem Central High School students will represent the district at the regional Poetry Out Loud competition which will take place at the Bulmer Telecommunications Center at Hudson Valley Community College on Tuesday, Feb. 5, at 6 p.m. The two competed against a dozen other BCHS contestants during a poetry contest held at the high school on the afternoon of Tuesday, Jan. 8. Mackenzie Townsend, a junior, took first place after reciting “The Properly Scholarly Attitude” by Adelaide Crapsey, while sophomore Elizabeth Hancox, who recited “I Felt a Funeral, in my Brain” by Emily Dickinson, was first runner-up. The Bethlehem Poetry Out Loud contest was first introduced last year by English teacher Andrew Rickert. Rickert was a member of this year’s judging panel along with ELA supervisor Andy Baker, teachers Elizabeth Edgar and Trish Piccini, and Library Media Specialist Justine Nigro. Panel members evaluated each student’s performance by paying attention to their voice, articulation, sense of understanding of the material, accuracy in delivering the words, and exuding drama when appropriate. The other participating students were seniors Ivy Newton, Sarah Marshall, and Jack Sossner; juniors Faith Adamcyzk, Dwight Ludington, Regan Murphy, Lucas Ruud and Gillian Roeder; sophomores Cali Knox and Nya Santeliz; and freshmen Nicole Cintron Ortiz and Matthew Connolly. According to Rickert, poetry recitation contests such as this one are not only meant to stimulate student interest in poetry but also improve their public speaking skills, self-confidence, literacy, and literary history. Winners of the aforementioned February regional competition at HVCC will advance to a state competition in March, and state winners will compete at a national recitation event held in Washington, D.C., in April. 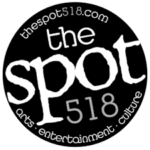 For more information about the contest and its winners, visit https://www.bethlehemschools.org/2019-poetry-loud-recitation-contest/.